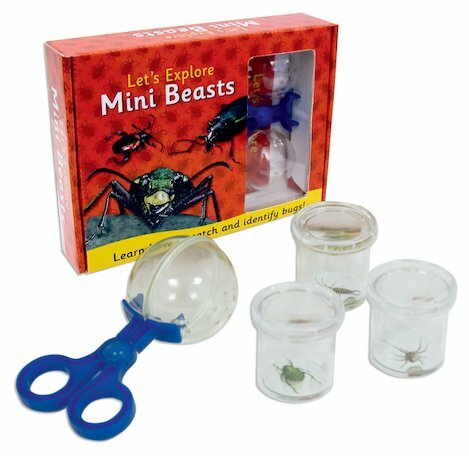 Shrink to the size of a gnat and explore the creepy-crawly world of mini beasts – buzzing, burrowing and scuttling all around! This brilliant bug-hunting kit has everything you need to head out into the garden and catch your own icky creepy-crawlies! It comes with a fact book introducing all the insects you might spy, plus some awesome bug-catching tools: a bug grabber and three bug jars, which include magnifying lids that you can peek through to see your bugs in super size!